Arunachal Pradesh Assembly today passed the Money Lending (Regulation) Bill 2018 to contain unregulated money lending prevalent in the state which rendered people vulnerable at the hands of money lenders. The Bill would pave the way to regulate money landing through regular checking by authorised officers to protect the debtors from exploitation. As per the clauses of the Bill, whoever carries on the business of money lending without obtaining a valid license from the government, will be punished with imprisonment for up to five years, or with fine which might extended to Rs 5 lakh, or with both. “The money lending practice has paved the way for extortion and other unlawful activities in the state as the debtors were forced to commit crime to earn money to repay their loans,” Home Minister Kumar Waii said. People even were forced to sell their properties to repay the loan and even several cases of divorce were reported in the state because of this, he said. Deputy Chief Minister Chowna Mein who also holds the finance portfolio had introduced the Bill on March 9. Deputy Chief Minister while replying to several query and suggestion mad by the members Chowna Mein said that we have we have to throw the evil practice of money lending prevailing in state. There were no land bill and now the land bill have passed where the owner could be able to leased out to others through they can run business and by way reformation could be done. Industrial policy is under planning. Earlier days lending of barter was done, Kabliwala was also there who lend money without any system but whatever is going on in state is illegal. He said earlier a ‘Boli’ was prevailing and few women have to face lots of problems by that which have gone to court and others. By viewing several pros and cons this bill have been brought to house for consideration keeping view of the problems faced by local people of state. licence shall be give for the purpose. He said the law is having a provision of imprisonment of five years with five lakhs fine those found carrying out illegal money lending activities . The licensee shall have a jurisdiction and confined to a area. Officers of district registrar shall be there with state Registrar at state level. The lender in case the information is found to false fine and imprisonment is there. He said the loan taken advance before the act and if the matter may goes to court the recovery of interest will not go upto principle amount. The bill have provision for protection of lender as well as borrowers if it is done properly as per law. On Hindu undivided family Chowna Mein said that it will be corrected. Japu Deru said it would have brought to house much earlier and lauded Chowna Mein for the same. He said that giving and taking is a traditional system by way of animals giving and taking and there have been a customary law. The law of giving and taking of the government is a good initiative. Z Namchoom said that many poor people have been harassed owing to economic condition and it would be a social fabric and a clause of definition of Money lender as why the Hindu undivided family is there need to be made clear or may be a copy paste. He wanted to clear that a person who wanted to lend some money due to emergency or in need after lending his immovable property and if do not return the same in time frame and what about his property which is much higher than the amount landed. What happened to those who have taken lend prior to approval of this bill and wanted a clarification. Tanga Byaling- while supporting the bill said that APEX Bank have also face such a problem of lending money to customers. Many people have borrowed money but could not return due to emergency, medical treatment and compelled to take loan but the monthly 10 % system is really is matter of great concern an many people have been suffering in such loan system. It would be better if earlier lender may also be preview of the act. Techi Kaso the lending system is prevailing more in capital complex, ‘capital me jarori se jada hai’ bouth log suffer hua hai, koi log mar gaya ushe bacha nahi saka and hope that we can control on it by this bill. Kaso appeal on behalf of all mother and father of capital complex for immediate inaction of this law. 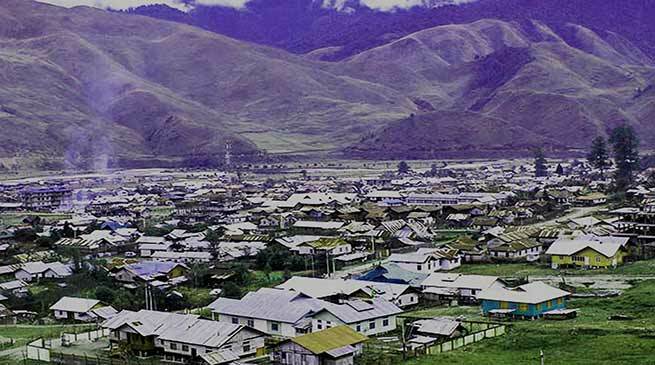 There have no serious problem by taking loan from Banks but in Itanagar some take loan due to emergency but it have been observed that a system prevailing a team or committee formed with office and take advantage who involve in solving such cases by involving known person and they extort by forcefully to take land or property with intention to acquire property. He appreciate the government for bringing the bill. Pakanga Bage– ‘10% 20 % se bailout hoga’, he said that whose income level is higher will go for it. There are many unemployed youth can avail loan and at the same time there are many vendors and sellers may get benefit as the interest rate may be a nominal and is in the interest of the state. Takam Pario while said that really it an important bill in the interest of people and state, due to absence of regulation and law there have been lots of problems being faced by the people. Few people have also done in the field of contract works and many officers have to face by those contractor and due to which the quality of work have also been affected. Many have to go court and some of them have been to fast track court and many have got relief but until there is a law the problems will remain. This law will streamline the money lending among the people. We have to implement so that it would be effective in the greater interest of people and state. Nikh Kamin- The person who thought to bring this bill is laudable. He said that providing license will be a source of revenue collection and requested the government to recognised those officers who have drafted and prepared this bill for their innovative idea in the interest of the state. He suggested for its advertisement to the masses so that it works well. after the discussion the bill was voted and adopted on voice vote.